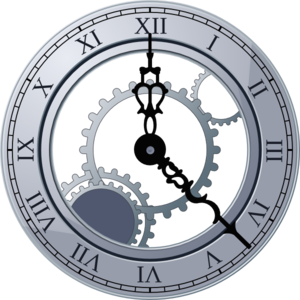 How can I plan in my business when I have difficulties with time perception and time management? Dyslexia, dyspraxia, ADHD and Autism can affect your ability to manage your time. The conditions affect the way information is processed. They can mean you have difficulties with memory, speed of processing (i.e. the speed at which contextualised meaning is attached to words, objects, gestures etc.) organisation and sequencing of information and time perception. In a business context a difficulty with time perception can have a significant impact on task planning and execution. You may find it difficult to designate realistic timings to business tasks, confounding attempts at meaningful planning. I have found that this difficulty often has its roots in deeper difficulties with micro-planning, where the stages that make up actions such as ‘send a letter to the bank’ are acknowledged and accounted for in time allocation. You may also lose track of time easily when engrossed in an absorbing task and you may be poor at estimating time passage. Tip 1. Use an analogue clock to help you visualise a deadline time on the clock face. A strong visual image to help up you chunk time can help as well. I think of the clock face as a cheese – so for me 1hour 15 minutes is a cheese and a quarter. Tip 2. Set alarms for important deadlines. Use the snooze option to remind as you may still be absorbed in a task. Tip 3. Write lists and allocate times to tasks. Review how close you were to the actual time taken for regular tasks each day. Reflect on what took longer and why and factor that into the next time you time-plan that task. Tip 4. Break down tasks on your list into component parts; for instance the task ‘send a letter to the bank’ could be broken into Research (find previous correspondence and read), Write (constructing the response) and Review (edit, proofread and print) (RWR). Accurately allocating time to the three parts of the task should be easier than if you tried to estimate the time for the task as a whole. Tip 5. Get to know your energy levels and when you work most efficiently. Working when you are tired can lead to poorer spelling and sentence construction, so it may be less frustrating and more productive to save such tasks until you are fresh. Jan writes, conducts research and trains organisations and individuals on dyslexia and business.